Tony W. Hiatt. Photo courtesy of Columbus Police Department. Columbus police arrested a Hartsville man on a warrant and drug charge Tuesday afternoon. 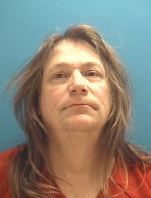 At approximately 4:15 p.m., CPD officers observed Tony W. Hiatt, 55, standing outside of a vehicle in the 1500 of State Street.